It’s an exciting day here at Septuaginta &c. (notice that I have finally given this blog a name), as I continue with my ongoing series of interviews with Septuagint scholars of note. Most of those I have interviewed thus far are known for their influential publications in the discipline. Today, we meet someone likely less familiar, even to those well-entrenched in LXX studies: José Manuel Cañas Reíllo. 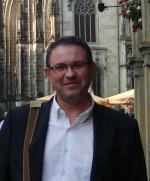 I became acquainted with José Manuel through my work in LXX-Judges when I found out that he is the man working away at the Göttingen critical text for Judges. After exchanging several emails, I had the pleasure of meeting him personally last July at the 2016 LXX.D Tagung in Wuppertal, Germany (here and here). 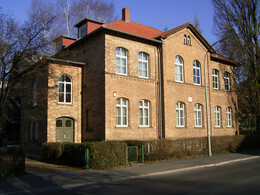 José Manuel is based at the Centro de Ciencias (CSIC; also here) but also works at the Göttingen Septuaginta-Unternehmen. The latter of which was founded in the early 20th century by Alfred Rahlfs and Rudolf Smend and has been a major center of Septuagint scholarship ever since. The main production of the Septuaginta-Unternehmen has been a critical edition of the Septuagint, known as the Göttingen Septuagint (or, more accurately, the Septuaginta Vetus Testamentum Graecum). This edition takes into account every known textual witness to date. Despite the fact that over a hundred years after the project began there are still Septuagint books for which there is no critical edition, the Göttingen volumes are the gold standard of the discipline, as they reflect a text that hypothetically precedes all recensions. 1) Can you describe how you first became interested in LXX studies? My academic background is that of a philologist, primarily in Classical Philology and then in Biblical Philology. I started my research career in the field of the Vetus Latina (the Old Latin version), with my doctoral thesis on marginal glosses of the Vetus Latina in the Spanish Vulgate bibles for 1-2 Maccabees. In that work it was necessary to take account of the Greek text of the LXX, and since then I have been interested in it, especially in subjects related to textual criticism and textual history. This interest has only grown since 1997, when I started to work in the Indice griego-hebreo del texto antioqueno de la Biblia griega with Natalio Fernández Marcos and Maria Victoria Spottorno Diaz-Caro. Thereafter the three of us formed a research team on Septuagint at the CSIC. The Indice was published in 2005, and thereafter I was part of the team for the project of the Spanish translation of the Septuagint [La Biblia Griega], coordinated by N. Fernández Marcos and M. V. Spottorno. The translation began in 2006 and finished in 2015 with the publication of four volumes [here, here, here, and here]. In this project I undertook the translation of twelve books of the Bible (Numbers, Deuteronomy, Joshua, 1 and 2 Chronicles, 1 & 2 Maccabees, Job, Proverbs, Jeremiah, Lamentations and Daniel) and this gave me a very broad picture of the diversity and complexity of the different books of the Septuagint. 2) Can you tell us your area of specialty within the field, and how you were trained for it? My specialty within the field is textual criticism. I received my training as a graduate student in Classical Philology and Trilingual Biblical Philology. Since the ’90s I have been fortunate to be a part of the project Edición de textos bíblicos y parabíblicos at the CSIC, led by Dr. Natalio Fernández Marcos, in which textual criticism is the central focus. Also my studies of the Vetus Latina brought me to this conviction: It is necessary and crucial to take into account the textual criticism of Septuagint together with the Vetus Latina, because, as research has shown, progress in the field of Septuagint has impact on the Vetus Latina and vice versa. A perfect illustration of this is the importance of the Vetus Latina for the textual criticism of the Book of Judges, or for tracing the influence of the Antiochene text in the Historical Books. 3) Can you tell us about the Septuaginta-Unternehmen and how you became involved? In 2012, I was recommended as editor of Judges by Dr. Natalio Fernández Marcos. In 2013 the Septuaginta-Unternehmen formally invited me to undertake the critical edition of Judges, and since November of that year I have been working on that project. As my expertise is textual criticism, I think assembling a critical edition is, at base, comprehensively philological, because the existence of critical editions enables progress in other areas such as language studies, especially lexicography, and literary criticism. An edition such as the Greek book of Judges is possibly the best type of work for a philologist dedicated to textual criticism. 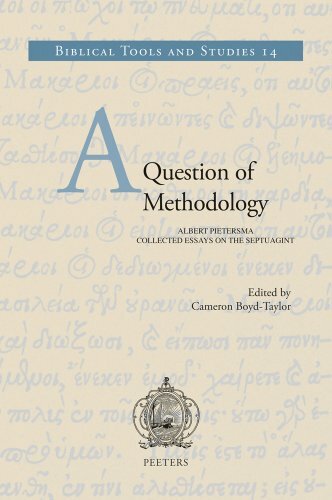 4) Can you describe the overall process of compiling a critical edition of a book of the Septuagint? The starting point of the task is the “Kollationshefte” of Greek manuscripts for Judges that have been made in the Septuagint Unternehmen over the years. [Editors note: These are hand-written volumes of all the variants within all the Greek witnesses for each biblical book.] 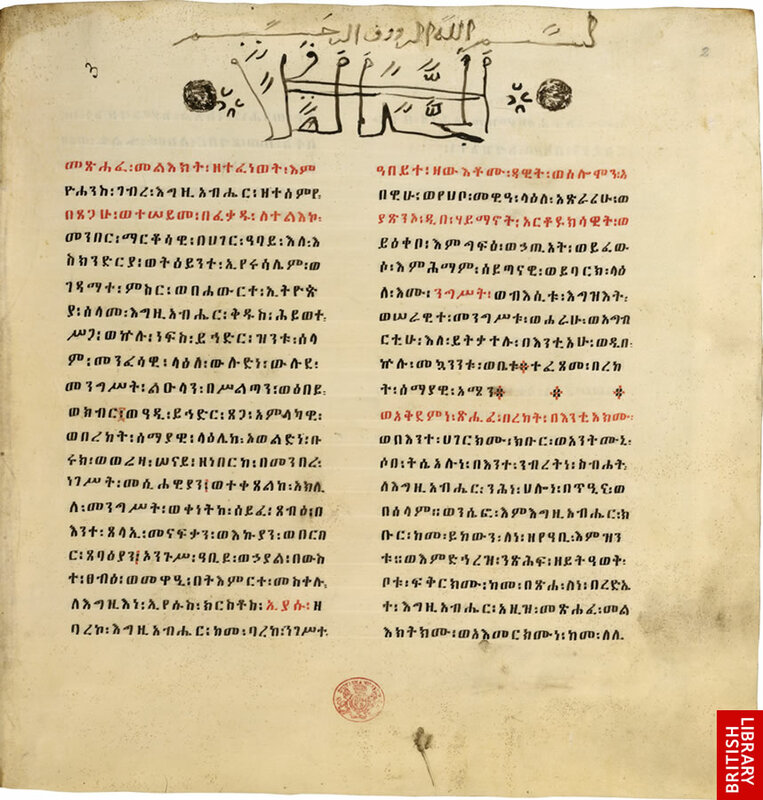 In total, nearly one hundred Greek witnesses are available for Judges: eight uncials, ninety-two minuscules and two papyri, plus of the old editions Aldina, Complutense and Sixtina, to which I have added a few fragments that had not bee collated: Rahlfs 442 (= Madrid, Universidad Complutense E.1, No. 10), which was considered lost, and the palimpsest fragment K in St. Petersburg (Rus. Nat. Bibl. Gr. 26). The first step of the work, which I have already completed, involved the revision of the collations. In this work, some questionable readings must be revised directly with manuscripts, when necessary. The second step, now almost completed, has been the incorporation of the indirect Greek witnesses (e.g., Josephus and Patristic authors) into the collation of the manuscripts, in order to obtain a global view of the Greek transmission. Simultaneously, I have been preparing the Hexaplaric apparatus, much of which has also been collated at the Septuagint-Unternehmen. The third step, which I am now working on, is the collation of ancient translations made from the Septuagint, in order of importance: Vetus Latina, Syrohexapla, Coptic, Armenian, Ethiopic, Georgian and Arabic. For the first three, I use the editions currently available. For the last four, the situation has been more complex. I use existing editions as points of reference (e.g., the Zohrab Bible for the Armenian; Dillman for Ethiopic; manuscripts for the Georgian Bible), but I continuously have to collate the readings from the manuscript tradition. This is especially important in the Ethiopic versions, because, thanks to EMML, many manuscripts preserved in Ethiopic monasteries have been made available to researchers, and they may substantially affect the text of Dillman’s edition. Another special case is the Arabic version. We have the polyglot texts of Walton and Paris, but both are of poor quality, so I also checked the only Arabic witness translated directly from the Greek (ms. Rome, BAV, Vat., Ar. 449). Of course, this has forced me to learn Armenian and Georgian in record time, but that allows me to collate their manuscript evidence. Regarding the other languages (Coptic, Ethiopic and Arabic) I already had prior knowledge of these, and their collations are now finished. All this has allowed me to establish groups of manuscripts and detect Lucianic and Hexaplaric texts more accurately, to isolate the text traditionally called “B” (which is not always transmitted by Codex B) and above all, to establish other marginal groups that allow us to reach a much more accurate genealogy of the texts, and to trace the history of the text in great detail. 5) Can you describe what your typical work day looks like? Due to the organizational structure of the Consejo Superior de Investigaciones Científicas (CSIC) of Spain – the institution where I conduct my work – I am devoted full time to research without teaching duties, except for occasional doctoral or specialized courses and participation in conferences. So most of my working time is devoted to research, though not exclusively. 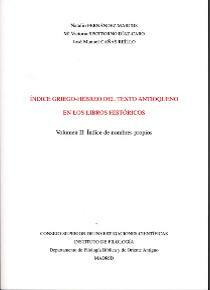 Besides the LXX-Judges critical edition, I am the Principal Researcher of a project funded by the Spanish government entitled “Reception, Transmission and Tradition of the Bible in Greek and Latin: Edition and Study of Texts” (2015-2017), carried out by a team of fourteen people at several universities in Spain, the United States, and Mexico. 6) Are you involved in any other teaching or research? Currently, besides the edition of LXX-Judges, I am developing other works that are part of that project, such as a Greek-Latin lexicon of books of the Vetus Latina texts in Maccabees, a critical edition of 1-2 Maccabees (Vetus Latina) in the Palimpsest of Leon, studies on the Latin version of the Aramaic Targum Onkelos at the Poliglotta Complutensis, and the interlinear Latin version of the text of the Septuagint in this edition. I am also supervising two doctoral theses, one of which will defend in early 2017 at the UNED and the other possibly in 2019 at the Istituto Biblico Pontificio (Rome). 7) And finally, when do you expect your critical text to be complete? Well, if you didn’t know much about what it looks like to actually produce a critical text (I didn’t! ), hopefully you do now. Thanks to José Manuel for his willingness to answer these questions and shed some light on what is likely a black box to most of us in Biblical Studies. Our discipline would not be the same without textual critics. * José Manuel was kind enough to write his responses in English, which I improved slightly in matters of style only. Today is yet another installment in my series of interviews with notable scholars in Septuagint studies. 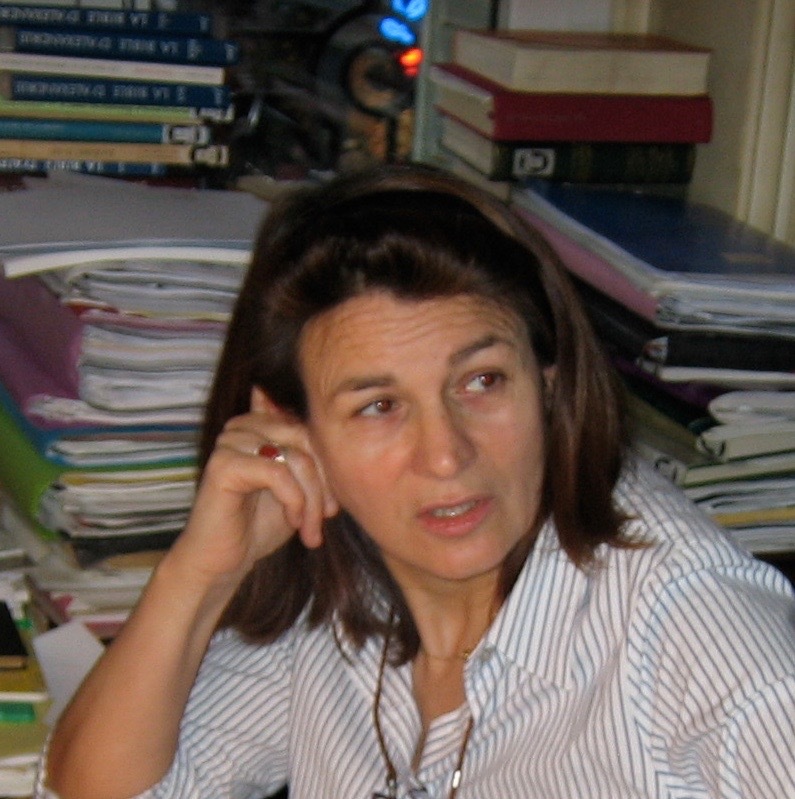 I am very pleased to introduce today’s featured scholar, Dr. Cécile Dogniez, part of the Antiquité classique et tardive (Classical and Late Antiquity) research center at the Université Paris-Sorbonne. Inaugurated by Dr. Marguerite Harl in 1984, this group is now headed up by Dr. Olivier Munnich. Dr. Dogniez’s research is focused upon the Greek bible and Hellenistic Judaism, and she is very active in the scholarly community both in France and elsewhere. Some of her better known work in the realm of Septuagint studies is as an editor and contributor to La Bible d’Alexandrie and various roles in the IOSCS and its affiliate projects. Now, Dr. Dogniez was gracious enough to do this interview for us in French. In order to make it most widely readable, however, I have translated her manuscript into English. If you prefer to read her interview in French, you can do that here. I originally received a classical education at the Université de Tours where I completed an MA (Master I) on Herodotus under the supervision of Gilles Dorival, himself a student of Marguerite Harl at the Université de la Sorbonne. A few years later, he suggested that I apply for a position at the CNRS (Centre National de la Recherche Scientifique [National Center for Scientific Research]) to work with Marguerite Harl on the Septuagint, and specifically the French translation project of this “Greek Bible,” which I had never heard of before. 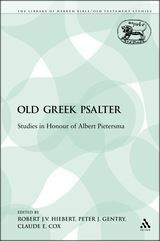 A professor of Greek Patristics at the time, Marguerite Harl had continually interacted with the Septuagint as a major reference text for the Greek Fathers of late Antiquity and Jewish authors like Philo of Alexandria, [and] extensively quoted by Christian theologians. She was reading, translating, and commenting on it with her students at the Sorbonne. In addition to my work on La Bible d’Alexandrie, I undertook the task of continuing the bibliographical work started by Sebastian P. Brock, Charles T. Fritsch, and Sydney Jellicoe, who had edited in 1973 the first bibliography of the Septuagint dealing with the period from 1900 to 1969. My book, Bibliography of the Septuagint (1970-1993) (Vetus Testamentum Supplements 60), was published by Brill in 1995, with a preface by Pierre-Maurice Bogaert. To create this bibliography, I benefited from the erudition and scholarly generosity of a good number of Septuagintalists, both in France and abroad, where scholars such as Sebastian P. Brock, Florentino García Martínez, Maurice Gilbert, Takamitsu Muraoka, Emanuel Tov, Arie van der Kooij, Natalio Fernández Marcos and John W. Wevers patiently advised me at various stages of my work and provided valuable assistance. It was around this time that I began to work on the corpus of the Twelve Prophets. My first presentation at an international conference, the 9th Congress of the IOSCS in Cambridge (July 1995), focused on the use of the term παντοκράτωρ, of which the Twelve Prophets provide the largest number of occurrences to render the Hebrew expression “God of armies/hosts” [‎אלהי־צבאות]. Subsequently, in addition to my participation in the publication of 2 volumes in ‎ La Bible d’Alexandrie on the book of the Twelve (Joel, Obadiah, Jonah, Nahum, Habakkuk, and Zephaniah released in 2007), I had several articles published on the Twelve Prophets, while maintaining my interest in the Pentateuch. As a researcher, in France, I am not required to teach. 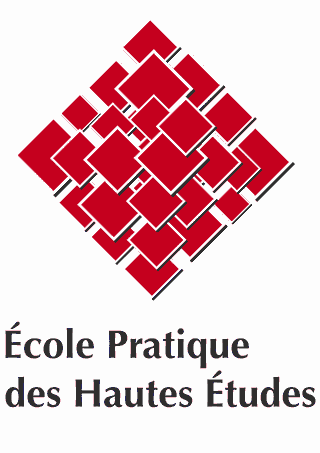 However, for several years, from 2006 to 2013, I taught the Septuagint at the EPHE (Ecole Pratique des Hautes Etudes) in Paris, as part of a seminar on the history of Judaism during the Hellenistic and Roman period. Starting with readings from the Prophets, I proposed to explore issues related to the linguistic and historical aspects of the Greek text. I was also occasionally able to lead a seminar on the Septuagint in various other French or foreign universities, such as Lille, Metz or Lausanne. 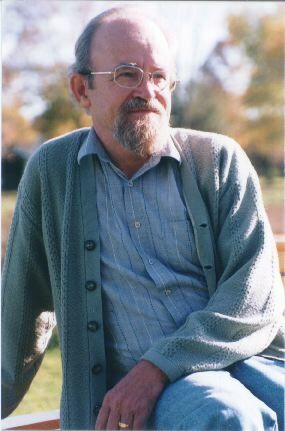 These last few years, I have been responsible, with Bruno Meynadier, for the organization of conferences on the Greek Bible of the Seventy in Paris (at the Ecole Normale Supérieure de la rue d’Ulm, then at the Maison de la Recherche), conferences created during the 1980s by Marguerite Harl and continued under the leadership of Gilles Dorival and Olivier Munnich. Septuagint scholarship has, in my opinion, developed significantly since the 1980s. 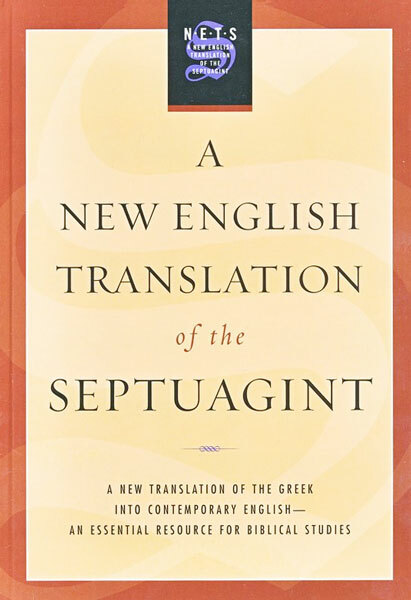 In France, the Septuagint was often ignored and of little interest because it was considered an inaccurate (infidèle) translation and also written in bad Greek – in any case for a good number of Classically-trained Hellenists. But it was also a text still rarely taken into consideration within the Catholic Church in particular, which only recognized the Vulgate and therefore the Hebrew text, and also in contemporary Jewish contexts, where this Jewish Bible was voluntarily abandoned to Christians because they believed they had been dispossessed of it at the beginning of the Christian era. Furthermore, the idea of translating a translation seemed to some like nonsense. 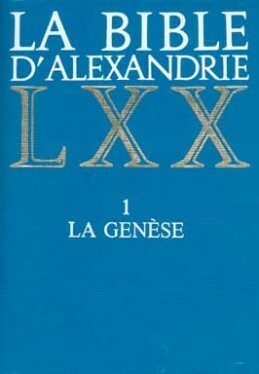 Now it happens that, following La Bible d’Alexandrie series (a pioneer in this area), other translations followed. In English we have NETS, in German we have the LXX.D, in Spanish under the leadership of Natalio Fernández Marcos [La Biblia Griega], in Italian, in Romanian, and some that I am certainly forgetting. The perspective for studying the Septuagint has also changed, especially since the Qumran discoveries. These demonstrated that the LXX can no longer to be considered an isolated, unfaithful text, but rather a witness to the fluidity of the Hebrew text. Finally, modern research in translation theory has likewise been profitable for the LXX. 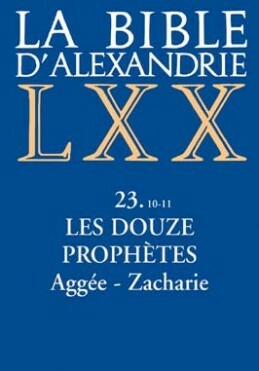 In France, for example, the LXX was part of the discussions at the [annual conference of the] Assises de la traduction littéraire in Arles. Currently, it seems to me that the books of the Septuagint have all been more or less studied, although some certainly more than others. But there is still work to be done, either book by book or in the area of textual criticism, historical, linguistic, literary, stylistic or exegetical research. For example, in addition to constant and increasingly important recourse to papyrology and epigraphy in order to acquire a better knowledge of the language of the Septuagint, the study of poetics, of the stylistics of the Septuagint deserves, it seems to me, more attention. The historical context of the production of these different translations should probably also be further studied. Perhaps we would then end up, among other things, with a more precise chronology of the various books of the LXX. 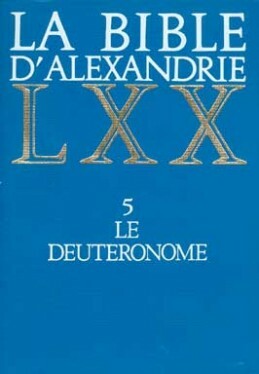 As the co-director of La Bible d’Alexandrie series, I am currently overseeing the annotated translation of 2-3 Reigns. I also participate in a project on the topic of the personification of Wisdom undertaken by Stéphanie Anthonioz at the Université de Lille, in particular in the book of LXX-Proverbs. I just recently finished a study on “Moses in the Greek Bible” for a project entitled Die Idee des Mose – Eine rezeptionsgeschichtliche Betrachtung einer identitätsstiftenden Idee, under the direction of V. Niederhofer, E. Eynikel and M. Sommer. I am currently writing a presentation on the Greek translation of the Pentateuch for a Handbook of the Pentateuch directed by J. Baden and C. Nihan. Finally, I continue to serve as a member of the editorial board of two international journals, JSCS and Semitica et Classica, which also regularly publishes articles on the LXX. It is good that young people are interested in the LXX and hopefully new recruits continue on this path. It is probably advisable that they would preferably be trained in Classics, since the Greek of the LXX rightfully belongs to the Greek language and the history of the LXX to the history of Judaism in the Hellenistic era. I am very grateful to Dr. Dogniez for her time and willingness to do this interview. I hope you found it as useful and informative as I did. In future interviews, you can look forward to hearing from more senior scholars in this important discipline. My sincere thanks to Jean Maurais for his helpful input on my English translation of this interview.